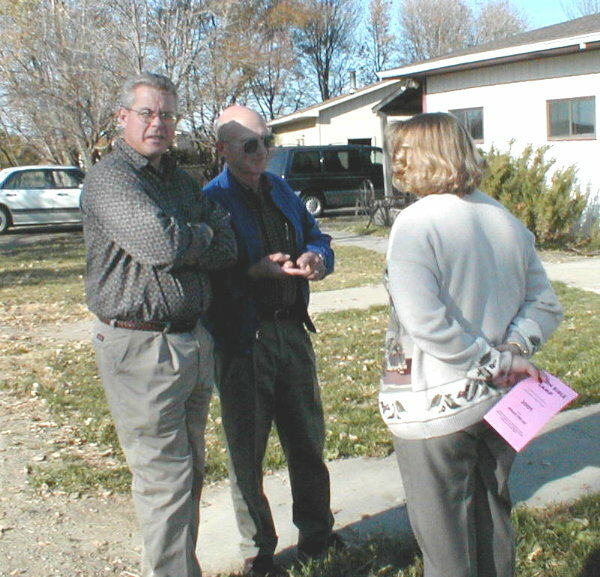 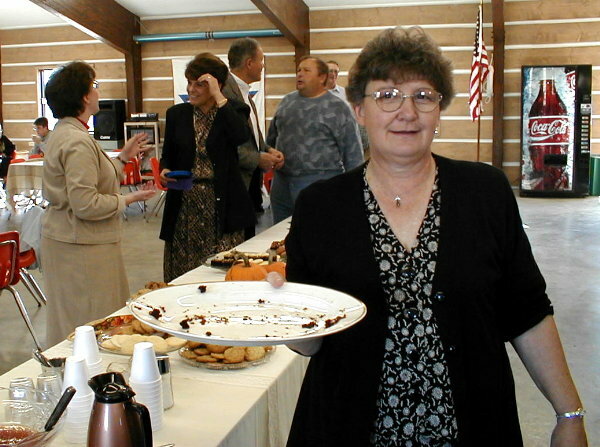 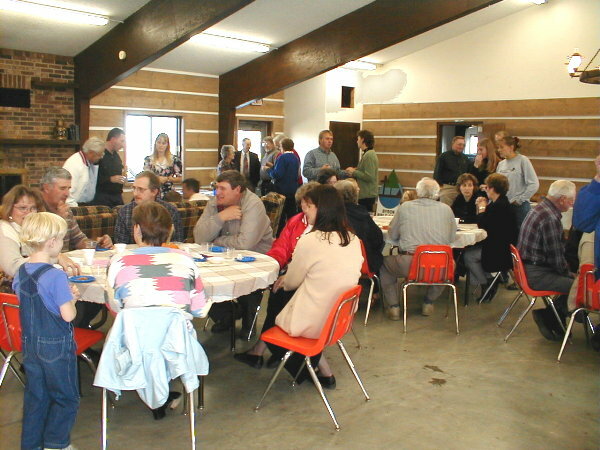 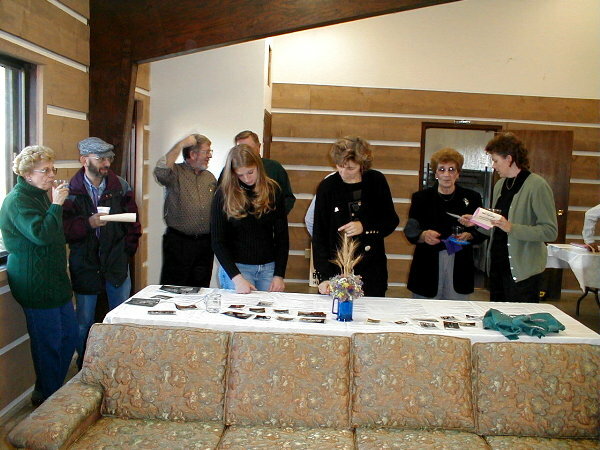 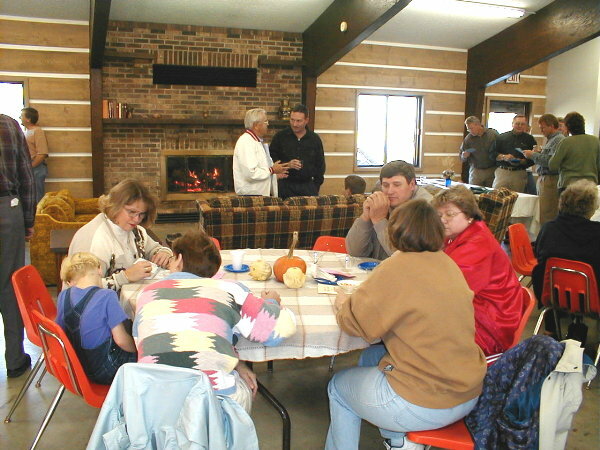 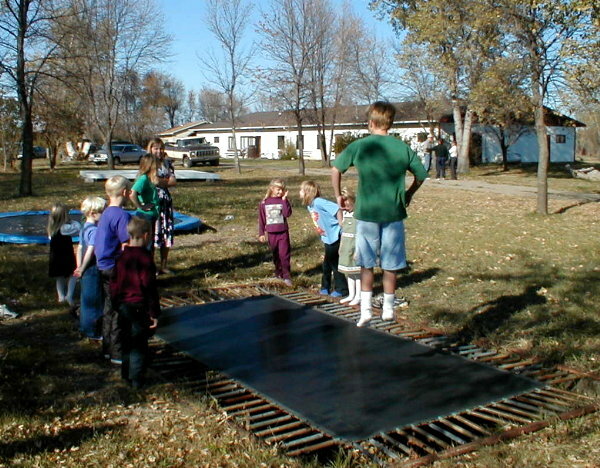 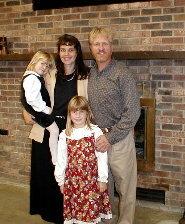 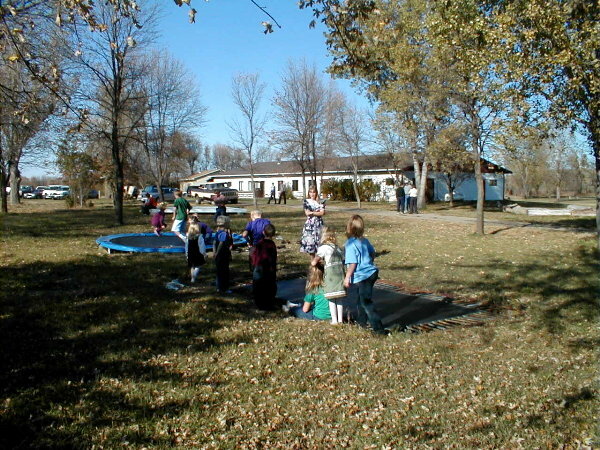 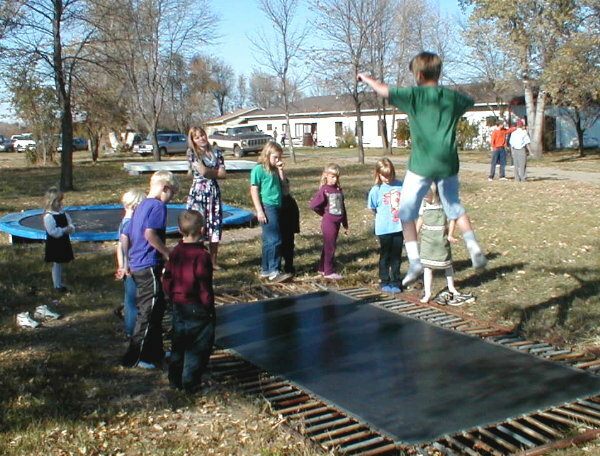 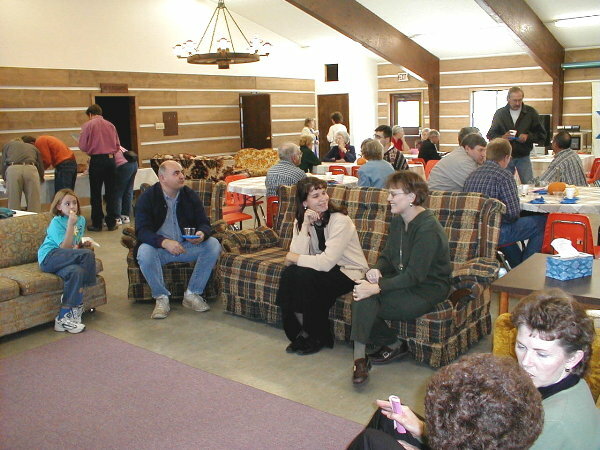 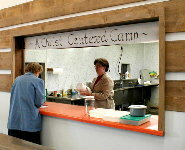 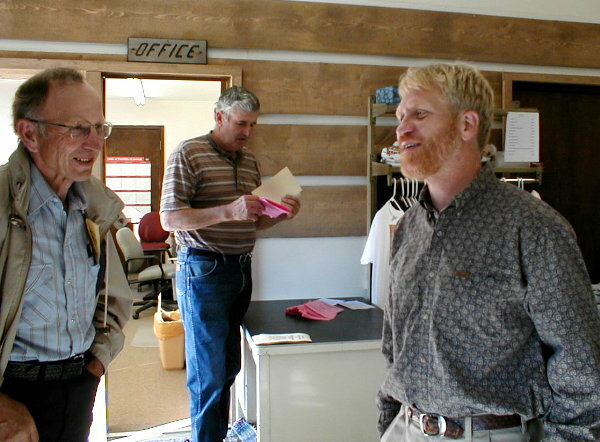 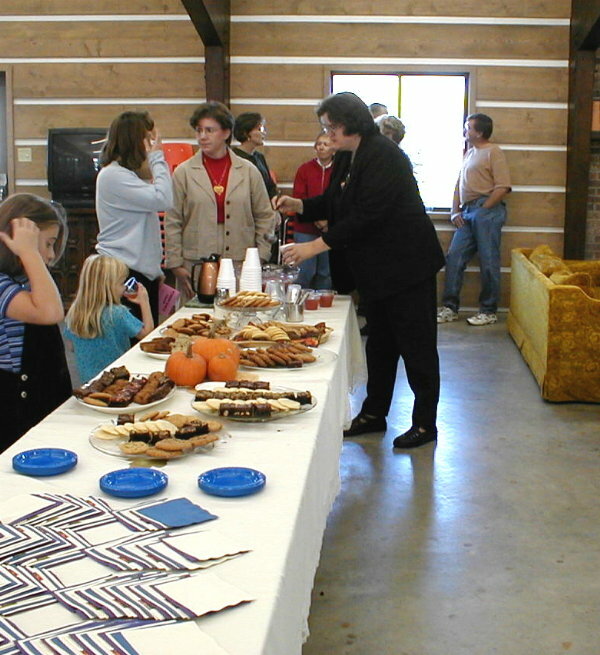 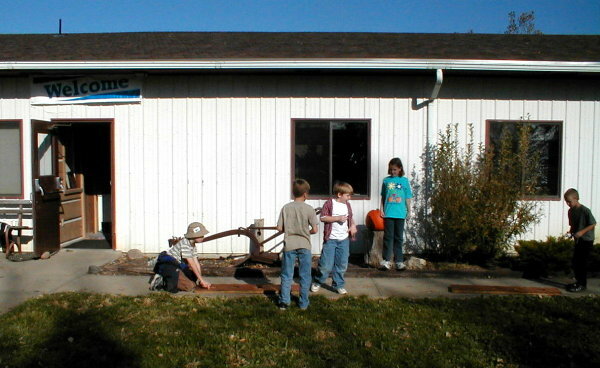 On October 15, 2000 the Byron Bible Camp Board hosted an open house for the community and Camp supporters. 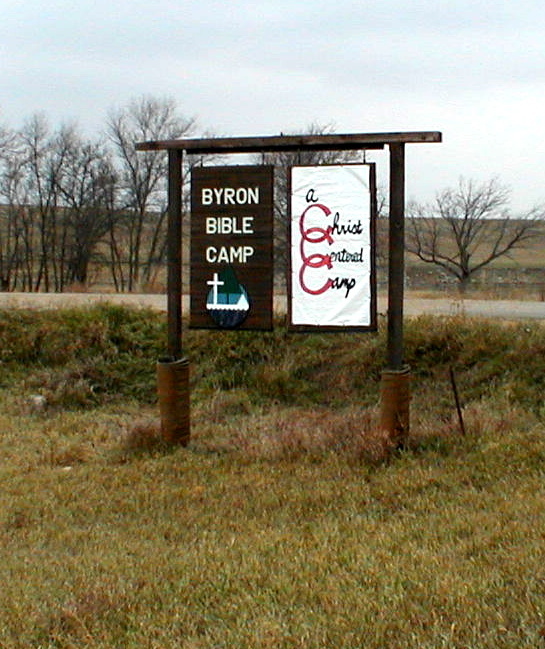 Most people had not seen the campus since the terrible flood. 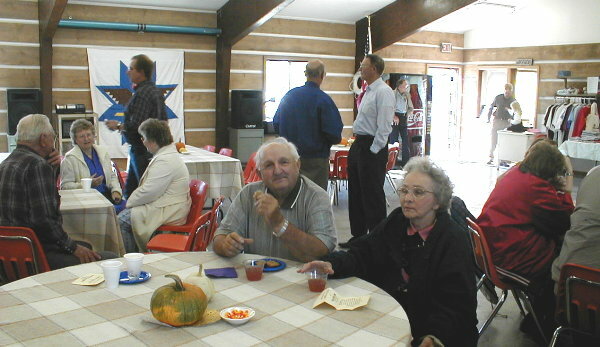 Old memories and friendships were rekindled. 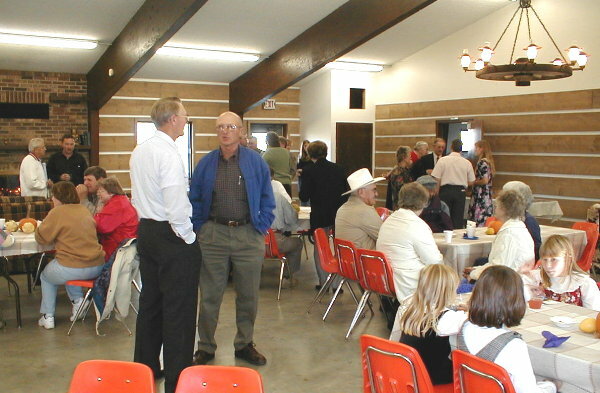 Over 100 people attended. 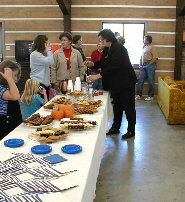 Here are a few candid shots of the day. 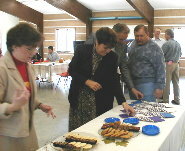 Ruth Anne Brott and a trio of Grosses sample the treats. Board member Dorothy Harmon was the hostess. .. its ups and downs! 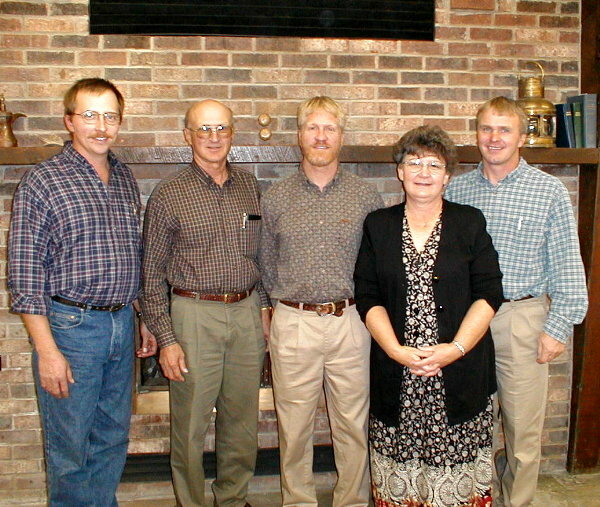 Board members Palmquist, Mendel, Harmon, and Hofer. 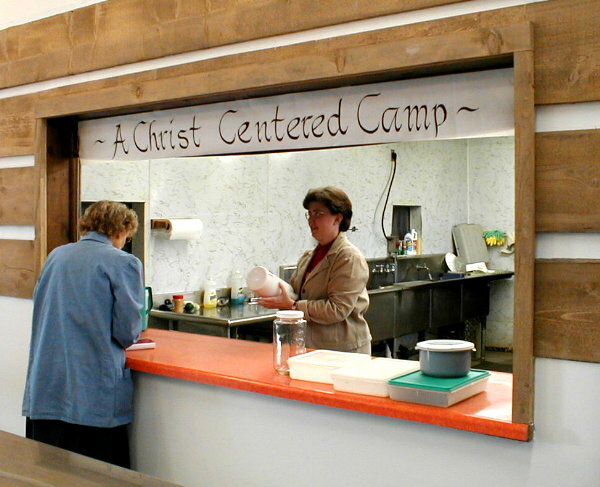 Come ye apart and rest awhile.